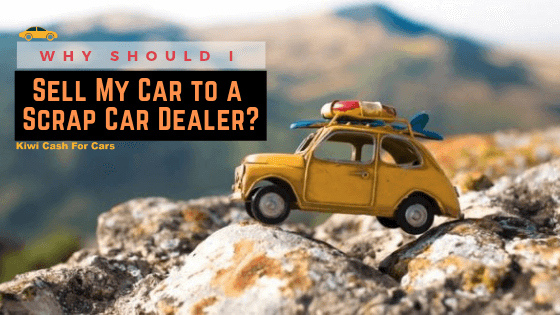 Why Should I Sell My Car to a Scrap Car Dealer? “Should I be selling my car to scrap?” If this is your question to yourself before you have decided to sell your car, you should read further and find out why most car owners prefer selling their car to scrap car dealers in Christchurch. While most car owners think of selling their cars after 5 years, a lot of car owners fall in love with their cars and take care of these cars, and maintain them with all their love and resources. These people decide to sell their cars at some point in their lives, which is generally because the car got too old to repair, or so old that the parts aren’t even available anymore. Most of these cars, if maintained well, are sold off to second-hand car buyers in Christchurch. If not, they are sold to scrap car buyers. But why are scrap car buyers so popular? Scrap Car Buyers such as Kiwi Cash for Cars will give you the best amount that you can get for an old unwanted car. They offer up to $8999 in cash on the spot for old. Damaged cars, unwanted cars,abandoned cars, etc. They will give you a free quote for your car, or vehicle after getting the necessary information about your vehicle on the phone, and this will be the exact amount of cash that will be given to you on the day of the pick up. Instantly. They give you a free quote, that will determine the value at which you can sell your old car in Christchurch. This quote, and a lot of other things, that Kiwi Cash for Cars will provide. This isn’t it, they don’t just help you out, they actually do all of the work for you and it’s totally free. Yes, all services provided by Kiwi Cash for Cars is totally free of cost. It’s so difficult to disagree with this point. Scrap Car Buyers are more convenient for you to sell your car, as compared to other ways of selling your car. If you decide to sell your car to a private seller, the car will keep running on the road. This means causing a lot of air pollution that we don’t really need. Scrap Car buyers like Kiwi Cash for Cars will reuse parts of your car and recycle the rest of it, that is basically used for scrap metal. Since they provide with so many benefits, they are considered much more convenient by most people who want to sell a car in Christchurch. Kiwi Cash for Buyers will give you a free pickup and cash on the spot. This means there’s nothing that you have to do at all while selling your car, just sit back and relax while you wait for the driver to arrive, pick your car up, and then pay you the full amount for your car in cash. Well, we have a lot of other reasons, but we think we’ll save them for our next few blogs! In the meantime, why don’t you just give Kiwi Cash for Cars a call and get a free quote for your old car in Christchurch? Call today! You can get in touch with Kiwi Cash for Cars on 021 837 591 on through their online form.